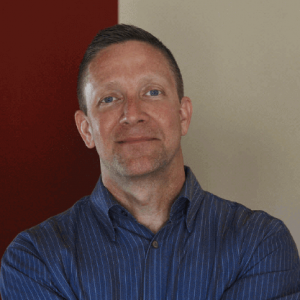 dominKnow, an award-winning eLearning authoring tools provider, announces Brent Schlenker has joined the team as Community Manager. dominKnow is pleased to announce the addition of Brent Schlenker as Community Manager. As a friend and advocate of dominKnow for years, Brent will be heading up the dominKnow User Community. With over 20 years of training and L&D experience, Brent is well recognized as a friendly face among the TLDCast community and as the former Program Director for DevLearn. Brent will be helping dominKnow engage our client user base to develop a strong user community to help solve everyday challenges and give users a larger voice. dominKnow is excited about this opportunity to develop a modern and thriving community, with Brent at the helm. “Over the past decade, we’ve watched and admired how Brent can bring a learning community together, so we’re really honored to have him join us. Creating a stronger user community will help our client authors share ideas and inspiration and ultimately help our clients improve the content experience for their own learners”, says dominKnow CEO, Luke Hickey. "I've been a fan of the innovative dominKnow Platform since my first experience seeing a demo—it blew my mind. At the time, I was so excited to see a vendor within the eLearning industry doing creative work, building a new and better authoring experience for developers. And their new release is, once again, amazing. It's a great honor to be working with the team, building the next generation community for their customers, and the whole eLearning community”, says Community Manager, Brent Schlenker. For more than a decade, dominKnow has been creating eLearning authoring tools and software for teams and large organizations. The dominKnow Platform is a cloud-based authoring and publishing Learning Content Management System that helps teams collaborate in real time, share and reuse content, and engage Subject Matter Experts in the review process. Our award-winning platform outputs single-source, multi-purpose HTML5, responsive, and WCAG AA compliant content and easily publishes to SCORM, AICC, xAPI and PENS standards. Content is ready for delivery from virtually any location. “Over the past decade, we’ve watched and admired how Brent can bring a learning community together, so we’re really honoured to have him join us."